On 1 January 2010, the Relocation Project for the people of the rubbish dump of Mae Sot will be launched. About 300 people (68 families) currently live in dismal conditions on the rubbish dumpsite of Mae Sot, a town on the Thai-Burmese border. 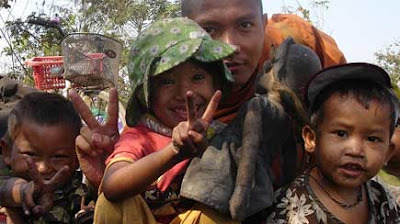 These refugees fled the brutal military regime in Burma, lack working and residency papers and are illegal immigrants. They earn a meager income by collecting and re-using plastic and other refuse. Seven of these families take part in the Relocation Project. Fourteen adults and eighteen children (between six months and ten years of age) will be relocated to newly rented land with basic infrastructural facilities such as housing, toilets and drinking water. The families will take part in workshops on topics such as health, child care and development. They will be offered training on job skills such as agriculture, handicraft making and sewing. The Best Friend is offering them a new life. Your help is needed to make this project a success! We need space to advertise, raise awareness and collect funds. Any help is very welcome. Money is needed for: yearly rent of the land, construction and materials for the houses, food, transportation, teachers’ salaries, nurseries. A € 10 donation buys a bamboo floor mat, € 20 gift a simple leaf roof for a house. A complete house can be built for € 100. Background information on The Best Friend The Best Friend was founded in 1999 in Burma by Burmese Buddhist monks Ashin Issariya and Ashin Sopaka. It is currently run by the Kölner-Buddhismus-Center e.V. in Germany. Its purpose is to encourage young people to open their eyes and ears by means of education. The organisation believes that education is the only way to eradicate poverty. Apart from that, emphasis is put on teaching foreign languages such as English, as this is the language that enables people around the world to communicate. 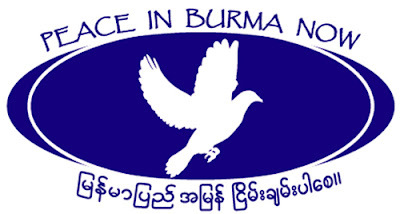 There are currently many voluntary teachers working for the organisation, teaching both inside as well as outside Burma. The Best Friend also runs libraries in Burma. All free of charge. The organisation depends entirely on donations and voluntary work.